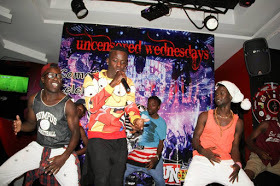 Willy Paul Msafi is not new to controversies. His music career is at stake at the moment. A couple of days ago he was accused of impregnating his girlfriend who he ordered to get rid of it and as if that is not enough, his latest song Sijafika featuring size 8, Gloria Muliro and Kambua is alleged to have been copied from one of P-Squares songs. 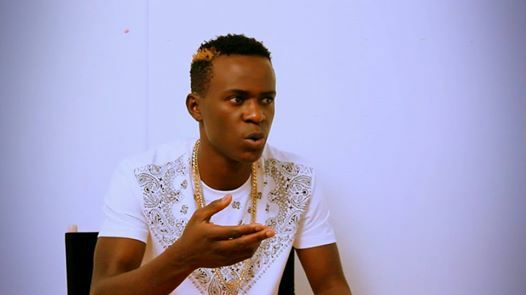 All these scandals come a few months after the Barua hit maker Bahati claimed that Willy Paul has been stealing his (Bahati) lyrics. 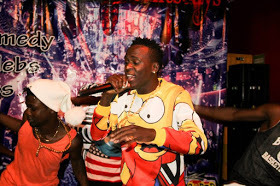 On Wednesday 30th September, the Ghipuka king Kenrazy who is Vera Sidika’s birthday mate threw a blockbuster birthday party at the Club Rumorz. 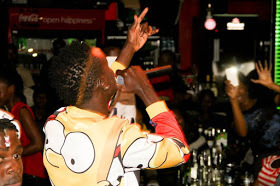 The epic party saw various renowned celebrities in attendance among them Eric Omondi, Fred Omondi, Sleep David, Karis and Willy Paul. What astounded many is that Will Paul went ahead to give an energetic performance. I wonder what a gospel artiste was doing in a club and to make matters worse, performing in a club! Here are pictures of Will Paul performing at Club Rumorz.